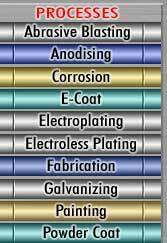 Over 5,000 copies of Coatings and Fabrication are distributed free to contract and captive powder coaters, electroplaters, anodisers and galvanizers, to industrial designers and architects, fabricators in steel, stainless steel and aluminium, to sheet metal workers, and to fencing contractors and to their suppliers in Australia, New Zealand, South East Asia, Europe and North and South America. 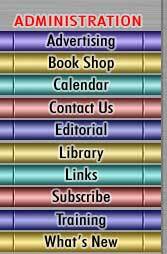 The magazine is sustained by advertising revenue. Subscriptions ($52.80 in Australia (including GST) and $AUD 66.00 other countries) are available to those persons who wish to guarantee their personal copy. Email me at mariopen@coatfab.com or more information. Coatings and Fabrication provide a training and consulting service in the coatings and fabrication fields. We have recently trained 25 Architects, powder supply marketing persons and powder coaters in Hong Kong in the science of powder coating and inspection. Certificates have been issued to those that were deemed competent at the end of the four days of training. For more information contact mariopen@worldconferencesystems.com or mariopen@coatfab.com. Organic coatings (paints) are applied from liquid media as well as solid powdered media (powder coating). A wide range of application methods is used for organic coatings. In reality, the method for applying the coating can be adapted for the specific application. Electrocoating (eCoat) with organic materials is the coating for the future where high corrosion resistance and abrasive resistance is required. Today, almost any colour in the rainbow in a wide variety of gloss or texture finishes can be achieved with many of the coating systems in the marketplace. Colouring is by conversion coatings, dyes, paints, etc. In all instances rigorous surface preparation is essential for effective coatings to ensure adhesion, corrosion resistance and long life. Abrasive blasting is used to prepare surfaces for painting or powder coating and to apply specific surface textures eg prior to anodising, etc. Materials are coated for two purposes Functional or Decorative. To fully appreciate the need for metal finishing for either functional or decorative applications, a little knowledge of corrosion and corrosion mechanisms is essential. More information is available from mariopen@coatfab.com. Fabrication is the art and science of producing commodities from sheet, strip, extrusions, either from mill finish materials or from precoated materials. The materials that can be used include mild steel, stainless steel, aluminium and copper and its alloys. To fabricate an item you may require some knowledge of cutting, slitting, bending, forming, deep drawing, machining, assembly, welding, MIG, TIG, oxy-acetylene, stick welding, adhesive bonding, riveting, pop riveting, soldering or brazing.